Hard to believe, but true! There was a time where no street legal coilover suspenisons were available! Until the first coilover kits with part certificates came on the German market, only “sport suspensions” were available for street cars. 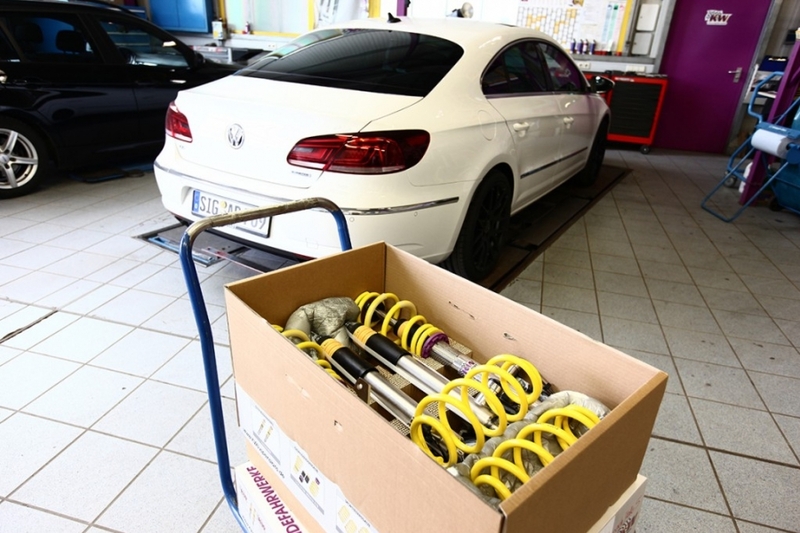 KW was the first German suspension manufacturer that offered coilovers with part certificates (legal approval documents). 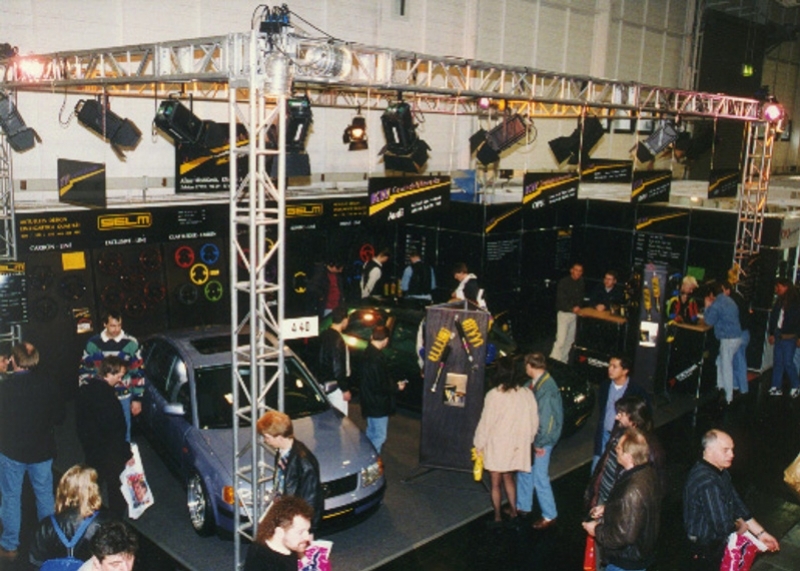 Since the premiere of the first street legal coilovers at the Essen Motor Show in 1995, a lot has happened. Today, KW is considered a global player in the premium coilover segment and is the market leader of individual suspension solutions for the street and in racing. In addition to height-adjustable coilover springs and coilover suspensions with adjustable dampers, the company also develops electronic lowering modules with App-control to lower series air suspensions. KW also has hydraulic lift cylinders (KW HLS) in program, which provide more ground clearance by the push of a button. For modern vehicles that are equipped with an electronic damper adjustment, KW has developed adaptive coilovers (DDC plug&play) that are compatible with the relevant systems and can optionally be adjusted via smartphone App (DDC ECU). 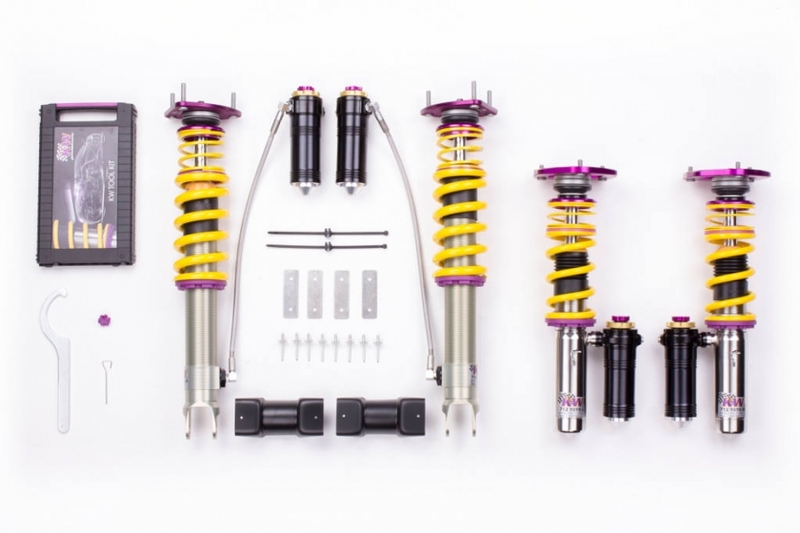 A modern KW coilover suspension, such as the Variant 3, consists of more than just four springs and four dampers but comes up to more than 400 individual components. The most obvious difference to conventional coilovers is the fact that KW manufactures their “inox-line” coilover kits for the road consistently from stainless steel. For some cars like the latest Mazda MX-5 (ND), the coilovers are even made from a high strength aluminum alloy or sometimes we are building the front struts with stanless steel and the struts on the rear axle of aluminium. Above you see the KW Clubsport 3-Way kit for the Porsche 911 (991) in this style. There are even more KW special features. The adjustable spring perch to adjust the lowering are not made of aluminum. KW coilovers also do not require an adjustable spring perch with a locking ring. This is no longer necessary thanks to the KW-trapezoid thread and adjustable spring perches that are made of a polyamide composite material. The advantage of the composite material is it does not collect oxidation between the adjustable spring perch and the strut, or between the two locking rings if they are made from aluminum. How resistant to rust are the KW coilovers “inox line”? We hear from our satisfied customers daily. But we wanted to know it more precisely and therefore we worked together with the Fachhochschule (University of Applied Sciences) Esslingen. The chemists and engineers of the FH tested the KW coilover struts made of stainless steel. So in total nine coilover struts from six different manufacturers went through a quality check. Above you see a “rust monster” kit not made of stainless steel or high strength aluminium alloy. All KW coilover suspensions have a vehicle-specific basic setup that was perfectly adapted to the respective car after test drives on country roads, highways, the Nürburgring Nordschleife and on KW’s 7post test rig. Here we are also focuses on whither the respective car is a car is a front, middle or rear engine or if it has a front, rear or all-wheel drive. The individual engine and axle loads are also taken into account. The times when a coilover suspension meant the ride was going to be hard and rough, are long gone. Despite lowering the vehicle, the suspension travel may even be a little longer than the OE dampers. For example, the KW Variant 1 coilover suspension come with a preset damping setup, the KW engineering expertise ensures sporty damping and also provides sufficient comfort even at full load and maximum axle loads. KW coilover suspensions like the Variant 2 or the Street Comfort kit are equipped with rebound adjustable dampers, which allow further adjustments of the driving behavior. Simply said, increased rebound forces ensure a tighter, sportier handling and a significantly lower body roll. At high speeds closer to the driving dynamic limit, the steering precision is noticeably improved. When driving slowly, opened rebound valves ensure more ride comfort. However, with the Variant 3 and Clubsport suspensions, you are also given the ability to adjust the compression damping as well, independently of the rebound damping. The patented valve technology offers a great advantage allowing you to choose a dynamic driving suspension setup without having to change the compression setting when adjusting the rebound, as it is the case with many other suspension kits. The compression level, parameters such as tire grip, directional stability, stiffness, handling and others can be affected. Depending on the KW suspension, the compression level can even be set in low-speed and high-speed range! If for example someone drives with his KW coilover suspension at a hard compression level fast over a speed bump, within fractions of a second an integrated bypass valve opens, so that the oil flows out of the damper working space and the wheel can immerse. 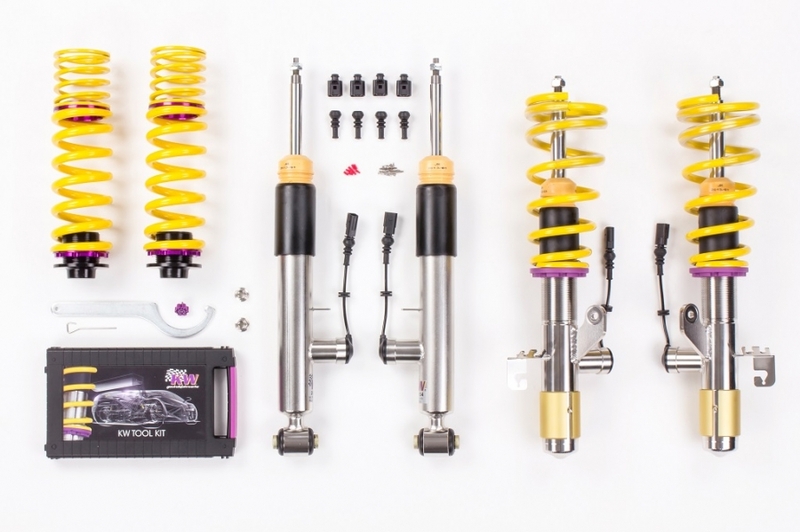 Every adjustable KW coilover suspension is always perfectly adapted from factory to the respective vehicle. If someone has mounted a different braking system or different sets of wheels or tires, he can adjust the suspension setup according to his preferences. This is less complicated than you might think. After the coilover kit is installed, the axles are measured and the camber is adjusted, KW recommends to at first get used to the new driving behavior of the car. Suspension experts recommend to initially only change one parameter or setting (rebound, compression, front axle, rear axle) and then test it again. Afterwards, use the click settings to go back to the KW-basic setup with, which is included in every suspension installation instructions, then try out a different suspension setting. In any case, you should get familiar with all the setup options. Once the driver feels a difference after riding in the car, they will know in which direction they have to adjust the coilover kit to best suite their tastes. With the KW DDC ECU coilovers it is even conveniently possible to adjust the damping setup in real time via a smartphone App.